Flu, or influenza is not just a severe cold, the flu is caused by a virus, one that is constantly mutating and changing so that in a constant arms race between antibiotics and the newest strain of the virus. The flu is very contagious, and preventative measures with antiseptic and antiviral herbs and building A healthy and strong immune system are key. 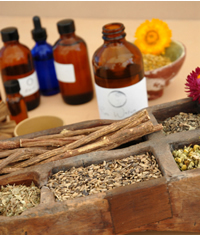 Antibacterial essential oils such as clove, cinnamon, oregano, thyme, tea tree. Herbs and essential oils have been proven effective against the germs and bacteria that make us sick. Use these natural disinfectants in room sprays, diffusers and massage oils to prevent the flu from spreading in your family. One of the most effective ways we have of preventing infection is by hand washing. Add a few drops of any of these essential oils to the hand soap dispenser in your house (about a 1 percent dilution). Use essential oils to power up those handy alcohol gel hand sanitizers and take them to work with you. Break the fever: Herbs that can help break a fever called febrifuges, should be at the top of your list. 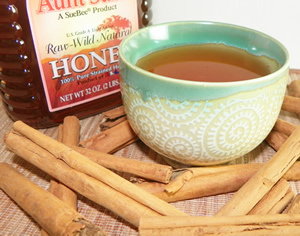 Drink hot herbal teas to help break fever, such as yarrow, peppermint, and catnip. Ease aches and pains with analgesic herbs such as willow and meadowsweet. A relaxing rubdown with massage oils made with camphor or eucalyptus can cool the body, ease body aches, and open the airways. Relax and get some rest: Lemon balm tea tastes great and it's gentle sedating effect that makes it easier to rest. Another relaxing herb, St. John's wort can inhibit influenza A viruses and parainfluenza virus, which produces flu-like symptoms, (but not cold viruses). elder flowers and berries are specific for the treatment of colds and flu. The berries are mildly laxative and sweat-inducing, and simmered with sugar, make a winter cordial for coughs and colds. Combines well with yarrow and mint for tea. Herbal wild cherry syrups and teas are anti-viral & anti-bacterial and most helpful for sinus, upper respiratory infections, colds & flu.